West Norfolk has so much to offer young musicians in the area. Take a look at the opportunities below and get in touch with the group leaders if you’d like your child or pupils to get involved. Springwood High School offers young players in West Norfolk Primary Schools or Year 7 of High School the opportunity to play interesting and exciting music with other like-minded young musicians. The music groups are led by teachers from Norfolk Music Service and encourage ensemble playing from an early stage, with added opportunities of performing in concerts. These ensembles are free of charge and rehearse at Springwood High School on Mondays during term time, from 4-5pm. 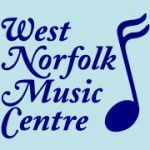 West Norfolk Music Centre offers individual lessons and group music for players and singers of all ages and all abilities. Groups include an orchestra, two wind bands, two choirs (including West Norfolk Youth Choir) and a number of smaller groups. Individual lessons are available on most instruments and singing, and group theory lessons are also offered. The music centre is based at Springwood High School and meets each Saturday during term time. 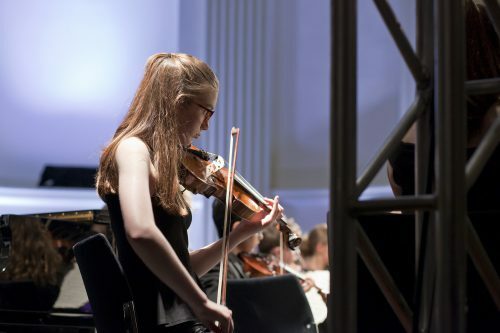 WNJYO was formed in 1977 with the aim to foster the musical education and training of young musicians in the area to encourage a high standard of musicianship. The orchestra is still very active and encourages young musicians to perform music to a high standard with their friends, become a better musician and HAVE FUN while they’re doing it! Rehearsals are held on Wednesday evenings during term time from 7.00-8.30PM in the main hall at Springwood High School. The hall is booked for an extra 15 minutes at the end of the rehearsal to allow players to socialise. The average age of players in the orchestra is 14 but musicians up to 21 years are welcome. The qualifying standard is usually grade 4, but entry is at the discretion of the conductor. All events are listed on our online calendar (view the calendar by clicking here >>). WNJYO gives several concerts during the year. In December there is an informal concert, which is shared with junior string groups; this is held in the Sixth Form Common Room at Springwood High School. There is also an opportunity for players to perform Christmas carols in the foyer of Tesco’s Hardwick. Later in the year the orchestra aims to give 3 or 4 concerts across West Norfolk, with one in King’s Lynn.